Amazon's offering two solid Bounce Dryer Sheet deals right now. Amazon currently has two deals on dryer sheets for all you laundry fanatics out there. 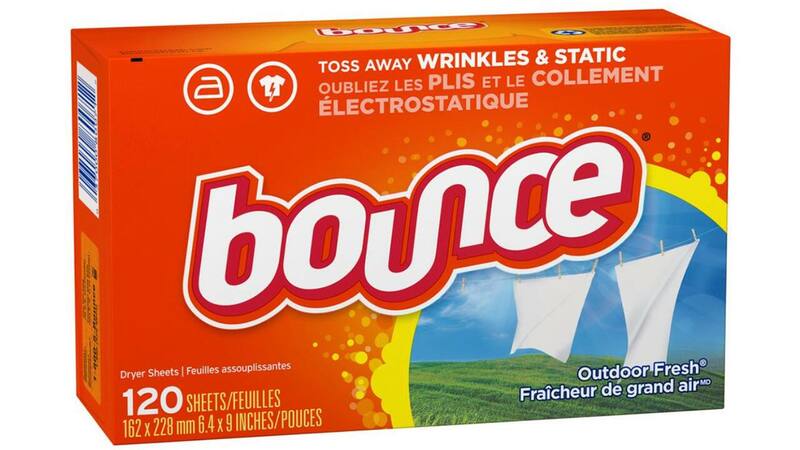 Firstly, the retailer is offering a discount on a 120-ct. of Outdoor Fresh Bounce Dryer Sheets. While they usually run for $5.70, right now you can pick them up for $3.70 with a $2 coupon applied at checkout. There's a limit of one coupon redemption per customer, free shipping, and a delivery time of seven to 13 days. All in all, it's a solid way to stock up on something you know you're going to use eventually. You may not need them now, but it’s nice to get ahead of those annoying chores. If you're in more of a hurry, however, there's also a 240-ct. of Free & Gentle Bounce Dryer Sheets that ships immediately. They're currently $9.19 (23% off the regular price). Although slightly more expensive per sheet than the 120-ct. box, you can save an additional 5% on the 240-ct. if you opt-in for the Subscribe & Save option (or 15% if it’s part of a five-item auto-delivery). Shipping is free for the Free & Gentle Bounce Dryer Sheets, and you can cancel your subscription anytime. So, you can unsubscribe after your order goes through if you only want the one-time savings. Subscribe & Save can be convenient, but it definitely has its pitfalls. Check out our article on the subject to make sure you have all the information you need to make a smart shopping decision. And keep your eyes peeled for similar deals on household items by setting up a Deal Alert. Josh Glatt was born and raised in Berkeley, California and holds a bachelor’s degree from the Walter Cronkite School of Journalism and Mass Communication at Arizona State University. He then went on to earn a master’s degree in communication management from the University of Southern California. Josh is an avid follower of American politics and a big Oakland Athletics, Golden State Warriors, ASU Sun Devils and Cal Bears fan. When not watching sports or MSNBC, he's exploring the newest tech and/or hiking to some amazing scenic points around Los Angeles.